This is the second part of my series on being a member of an antique co-op. If you’re just joining in, you can catch up on Part 1 here. On that post, I gave tips for finding a good co-op to join. 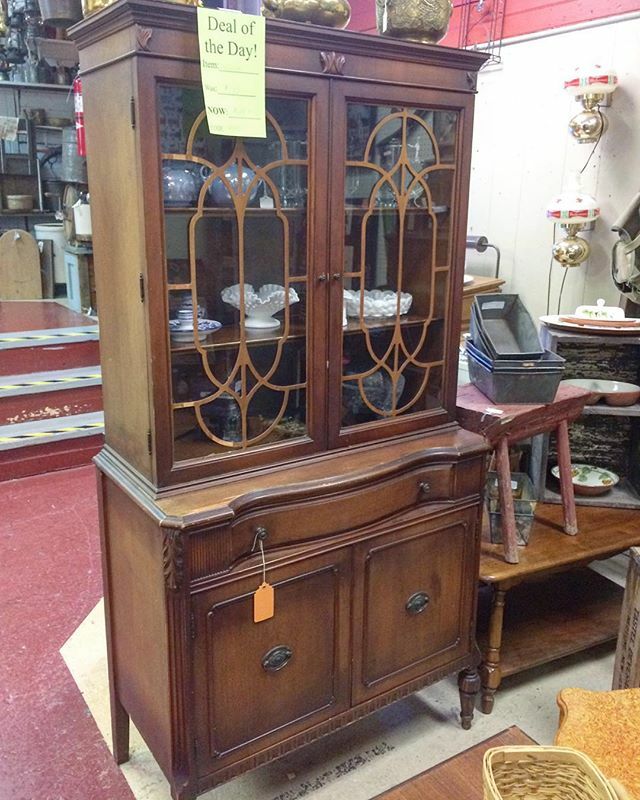 For this second part, I’ll be talking about what it’s like to sell from an antique booth. My experience may not be the same as yours because every selling area is different. Despite that, I think that most of the tips that I’ll be sharing will be universally applicable no matter where you are! 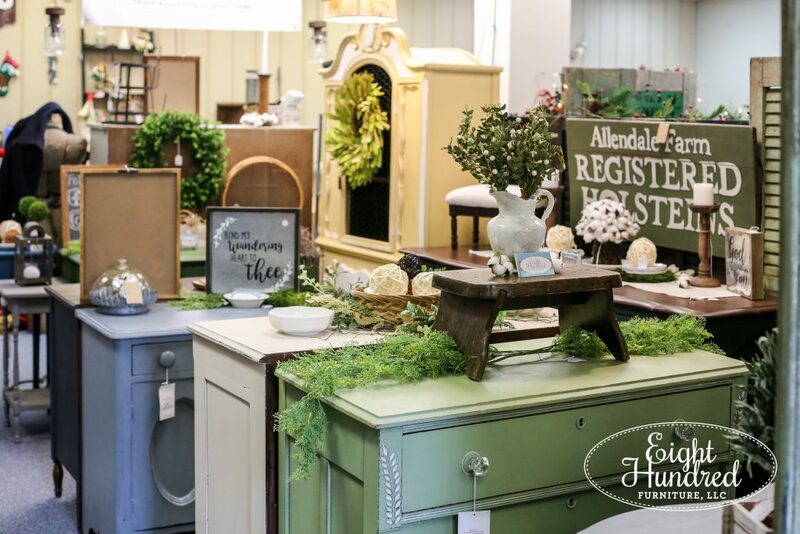 When you first begin setting up your antique booth, you’ll need to decide what kind of look you’ll want to curate. Are you farmhousey or coastal? Are you primitive and rustic? Or do you have a vintage mid-century modern vibe about you? Finding a cohesive look and picking pieces to match that style will help define your business and draw shoppers in who like your style. It will also attract people to your space because a cohesive look is much easier on the eyes than a hodge-podge collection of random things. People may also be more inclined to buy more than one thing because you’ve put a vignette together and they can easily see how they can use multiple pieces in a space. When I first started, I had no idea what my look was. See for yourself. My booth was practically dripping with African fabric goods and you could barely see the furniture. Everything was over-staged and buried under hodge podge mixes of stuff. I’ve come a long way from this very first setup and it was definitely due to lots of help from my antique co-op’s owner, Stacey. There are some booths that are super successful because they have a little bit of everything. I’m not criticizing those types of spaces because I shop from those quite a bit! I think those booths do well if they’re organized. A really messy booth where you’re too afraid to pick something out because all of the stuff in it will come crashing down will definitely deter people from looking. Who wants to shop from a booth that looks like the inside of a forgotten closet? And who wants to get buried underneath the things piled up inside of it for that matter? One of my biggest pieces of advice is to lay out your items in your space so people can easily shop through it. If your customers can’t reach your items or see the price tags, they may pass them by because they don’t want to bother finding someone to help them. If items are easily accessed and price tags are clearly written and easy to find, you’re more inclined to make a sale. Leave room for people to walk through (if your space is that big) and think about how people’s eyes will wander over your items. Having tiers of goods that cascade down helps folks see multiple items for sale all at once. Make the most of your square footage! After all, you’re paying for it. Try stacking items on top of one another and putting furniture pieces back-to-back. (Just make sure things are safe and won’t topple over onto your shoppers!) Put things up at eye level. Most shoppers don’t look down on the floor, so try to keep things up off the ground and easy to see. Make sure you don’t spill out into the aisles in the shop. There needs to be a certain amount of space in the walkways of a store so that people can walk through regardless if they have a wheelchair, cane, or none at all. The shop can actually receive fines if they’re not in compliance! Running the vacuum throughout your space every now and then goes a long way too! Use some Windex on your mirrors and glass and do some light dusting. Keep your booth clean, free of smells and excess clutter. If you get stuck on how you should organize your items in your space, ask the owner for help! I literally just did this a few days ago. I wanted to refresh my booth and move things around, but I wasn’t sure how to fit it all in. I asked the owner of Morgantown Market for help, and she drew me a floor plan! Her suggestion was one I hadn’t thought of before, and I’ve sold two pieces of furniture since I rearranged. I touched on this subject a little bit in my first post, but it’s worth revisiting. Some antique co-op’s offer a “house discount” if someone asks if the dealer can do better. Other places are very firm and the price is the price – no discounts. Some are practically flea markets where customers expect to haggle over everything they’re buying, so make sure you know what the culture is at the place you’re joining. 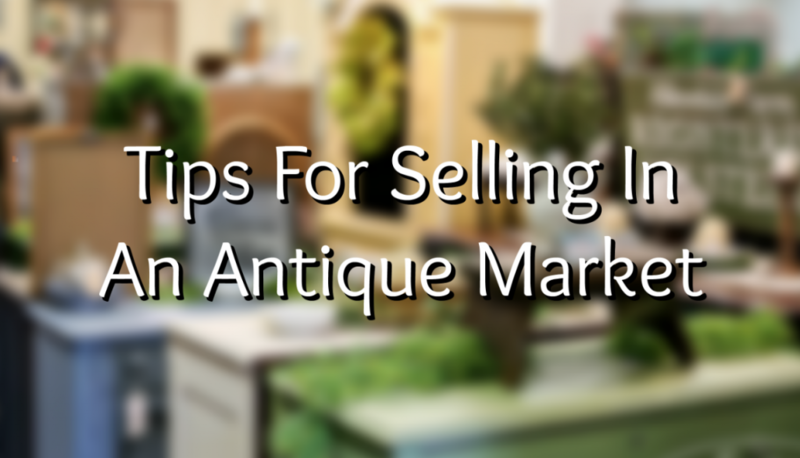 As an antique booth renter, you’ll need to decide how you want to handle discounts. I will say that the more you offer discounts, the more your customers will expect it and they won’t pay full price. But we do that all the time when we shop, don’t we? Why pay full price if you don’t have to? So there are ways of working around discounts. You can pad your prices so you offer a discount to your customers, but you’re really getting the price you wanted in the first place. You can limit your discounts to just specific pieces so it’s not your entire booth space. Or you can only do discounts at special times of the year, or once every season. (Think Christmas, Easter, 4th of July, and Thanksgiving.) It’s totally up to you and this is an area where you’re going to have to do some math and know your numbers. This will also help you make decisions on what to buy to fill your space. 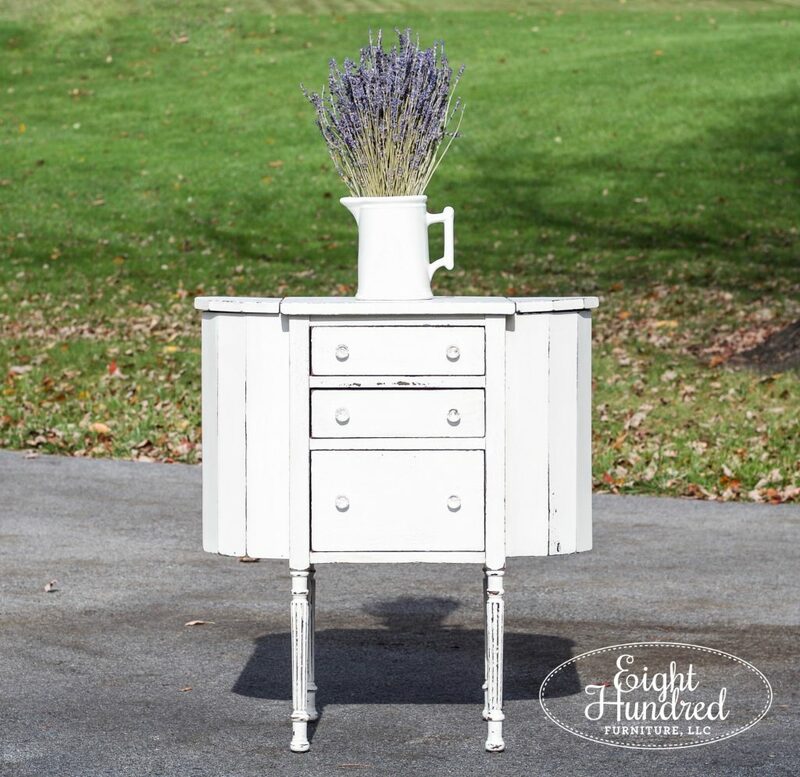 For example, let’s say I’m considering buying a dresser that’s $150. I have to think through the expenses it will take to work on it. If I spend $20 on knobs and $10 on paint supplies, then I’m $180 into the project. If it takes me 4 hours to finish it and I want to pay myself $30 an hour, that’s an extra $120, so now my total is $300. Then I pad my prices to account for the house discount, so now I’m around $315 or $320. If that seems too expensive for the piece, then I won’t buy it because I know that the final sale price will be unreasonable. If it seems like a good price for the work I did and the piece itself, then I’ll spring for it. Discounts can also help you move merchandise that has been sitting for a while that needs to move on. Be careful that you’re not training your customers to expect discounts and a lower price. Your work is valuable and you need to get paid for your time. Not everyone can do what you do and you have a desirable skill. Also remember that not every person that comes into your space is your customer. Some people won’t want to pay your prices, and that’s okay. 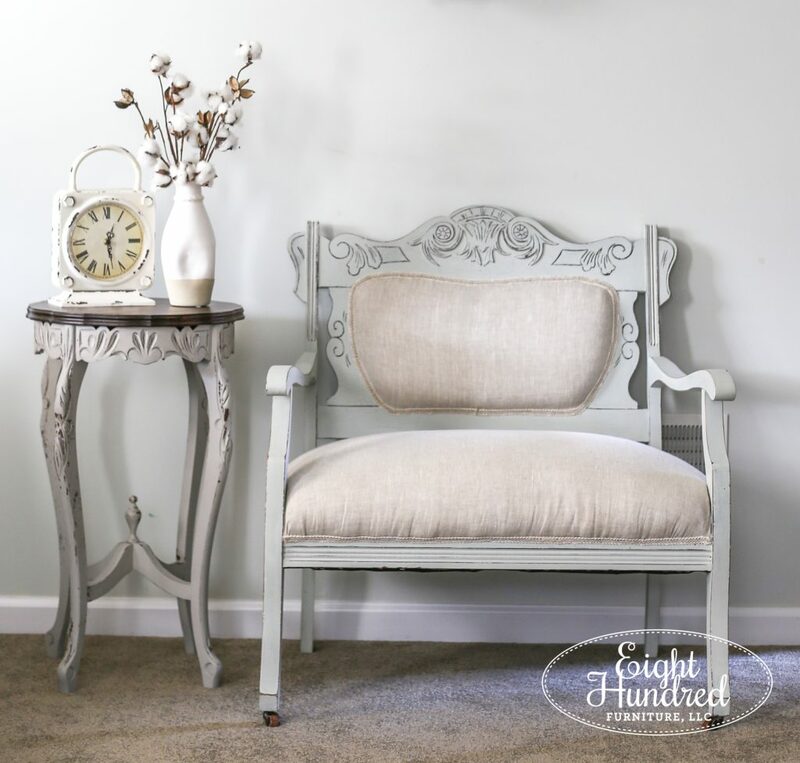 Everyone has their budget limit and honestly, some people simply don’t understand what it takes to redo a piece of furniture. Try to shake it off and hold out for YOUR customer! Now I’m totally preaching to the choir on this one because I struggle with my upholstered pieces. They tend to sit around longer than my painted furniture pieces because they’re expensive. I put a LOT of time and supplies into these pieces and it adds up quickly. The longer a piece sits, the more I doubt that I did a good job on it or if my price is too high. I’m still training myself to be patient and wait for the price I deserve for my hard work. So yeah, I’m totally with you on that one! 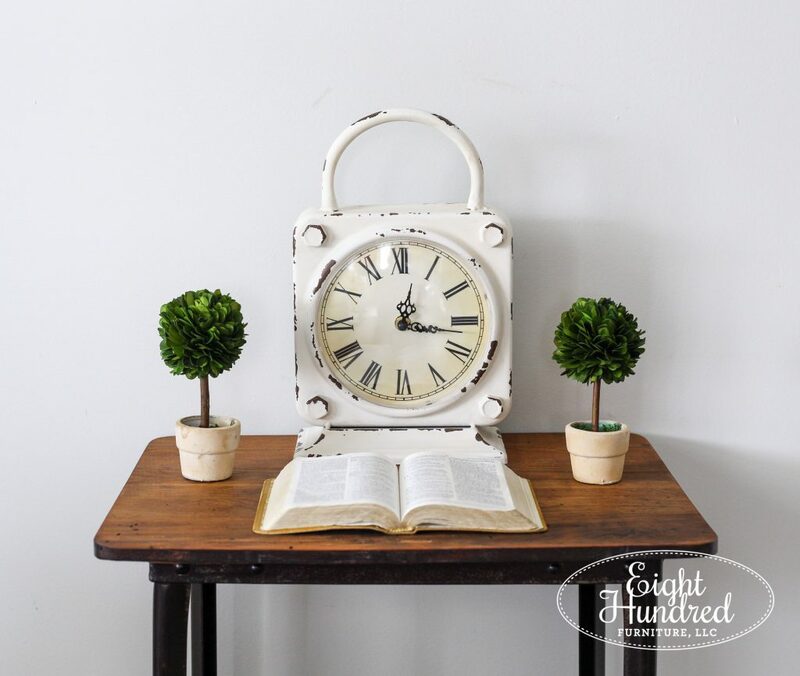 A quick and easy way to freshen your space and sell items that have been sitting around for a little bit is to literally move them around. I can’t tell you how many times I’ve moved things around in my booth and people ask me when I brought in all the new stuff! This piece was one that benefitted from a few moves in my space. It wound up selling because I moved it to a prominent corner of my booth and it caught your eye as soon as you looked at my space. It got more attention and eventually, a buyer. Creating new vignettes and re-staging furniture pieces with different small items does a lot to add interest and keep things fresh. So if you feel like you haven’t had sales in a while, try moving things around and swapping items out. You can always bring them back at another time! Make sure that your merchandise is good quality. Don’t bring in things that are broken, damaged and stained. 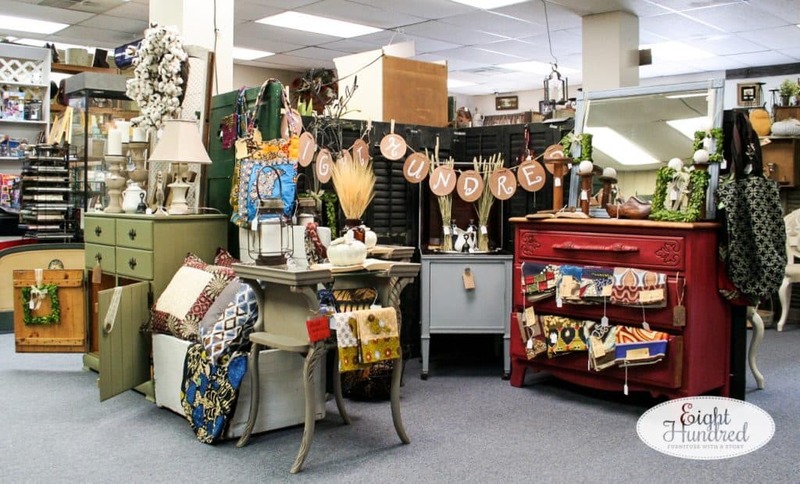 If you want to give the impression of a high quality space, sell high quality items. If your goods look like they came from a flea market, then people will expect to pay flea market prices. Try having a variety of price points in your booth too. By providing a range of prices, people will be able to buy something from you no matter how much money they have. A $4 birdcage is just as important as a $400 buffet! 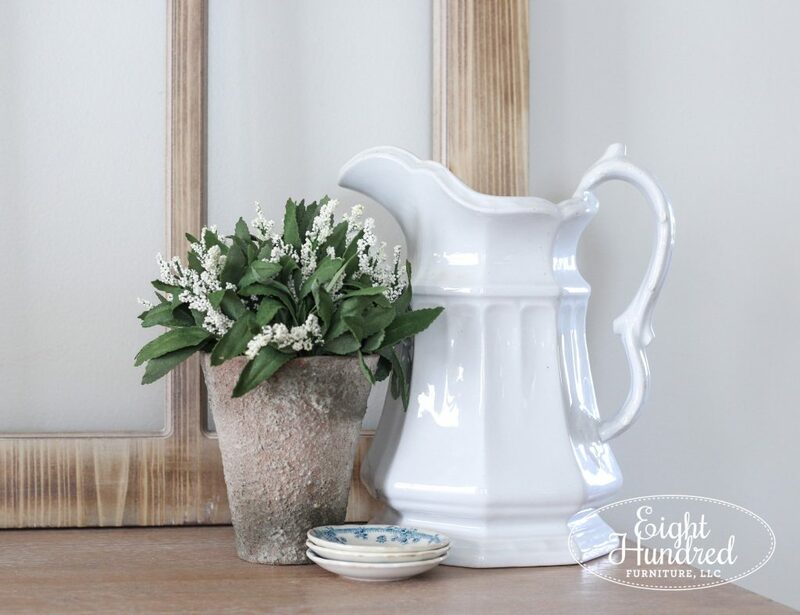 Believe it or not, your “smalls” (aka the small decorative items in your space) add up really quick and may make up the bulk of your paycheck! Also, add some life to your space with greenery. You can put in some dried flowers or lavender to add a natural element and give your space a divine scent. 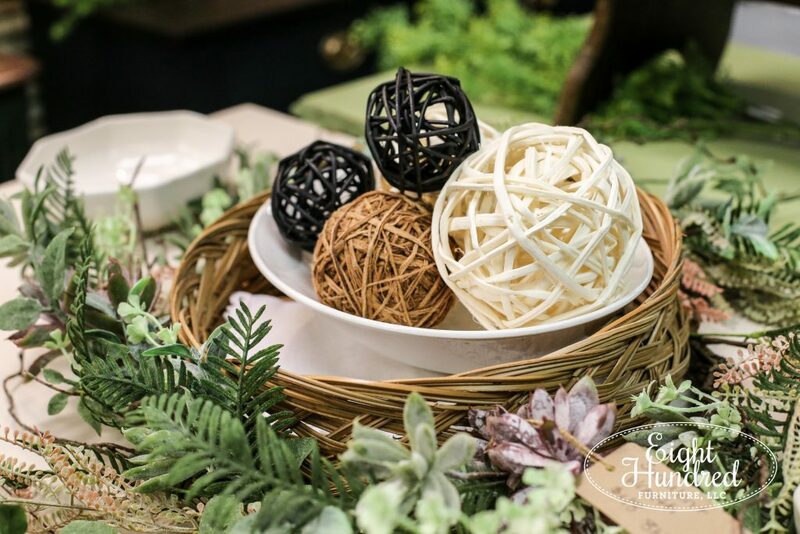 Try some faux boxwood to bring in pops of green or some fresh flowers cut from your garden. Just remember to swap them out when they begin to wilt. You’d be amazed at the selection of faux florals that are available nowadays. Some look so real that they fool me at first! Plus, these are relatively inexpensive to buy up front and they’ll last forever. 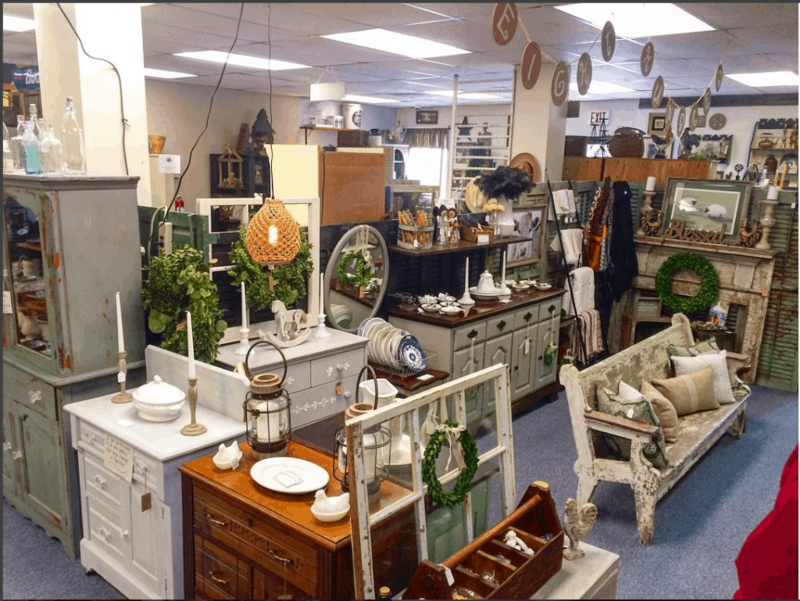 When you are a member of an antique co-op, you are part of a community of dealers. Keep this in mind when you interact with your fellow merchants, the owner and the customers. Approaching your role in the big picture with a community mindset tells everyone that you are a team player and it’s not all about you. Be courteous as you’re on the sales floor. Don’t talk poorly about the items that are on the sales floor. Instead, verbally compliment the spaces of your fellow dealers. When customers hear you talking positively about the co-op, it leaves a good impression on them. Avoid gossiping about other dealers and businesses nearby. There can be a lot of that in this type of setting, and I challenge you to be different. For starters, it’s very unkind and it’s a quick way to damage the community mindset that is so important in a co-op. Plus, you never know who may be listening and you don’t want to hurt your reputation or that of your co-op. Try to steer conversations in a positive direction if they start to turn towards people instead of ideas and positive thoughts. Another tip is to keep your complaining to yourself. I can’t tell you how many times I’ve walked around a co-op and have overheard the dealers on duty complaining about every little thing while I was there – including the co-op itself! It leaves such a distasteful impression and who really wants to listen to someone’s grumbles while you’re trying to enjoy yourself? Be happy! You’re part of an amazing selling community! Spread the love! If you’re really that unhappy while you’re there, perhaps that particular co-op isn’t the best fit for you. Help to sell the stuff that’s in booths besides yours! This may sound counter-intuitive, but what’s good for the co-op is good for you. While the sale may not be credited to your account, you made a customer out of that shopper. They’ll remember how nice the people are at the co-op and how helpful you were. When it comes time for them to come back, you better believe they’ll choose your co-op because of how you made them feel. And again, it fosters that community mindset. As the sales of your co-op increase, the house will be able to take better care of you too. There will be more in the budget for marketing and events. Perhaps a steady stream of cookies and coffee in the morning too! Promote the co-op on your social media feeds, no matter how big or how small your account is. Mention the co-op and your booth on Instagram and tag them on Facebook. If your co-op is active on social media, they’ll share your posts and the magic of social networking will take care of itself. Take Instagram stories of your booth space and give people a tour. Show followers where to find your space and what the building looks like from the outside. Show them where to park and maybe where to go eat afterwards. And do it often! The more people hear about your booth space, the more it will stick in their minds. Any time you add something new in, make a big deal out of it on social media. Keep your followers up to date on what you’re doing and it will help them feel like they’re right there even if they’re hundreds of miles away. Talk to the owner of your co-op and get their story. How did they wind up owning or leasing the building? Where did they get their start? Do they have any advice for you? Here is Stacey, the owner of Morgantown Market with her husband, Doug. Stacey does a fantastic job of creating the funniest cover photos for the market’s Facebook page! My personal favorite, Harry Potter. Who wouldn’t like to get to know an owner with that kind of humor?! As you’re interacting with the owner of your co-op, be respectful. You have no idea how much an antique co-op owner does behind the scenes! It’s a crazy amount of work and pitching in to help goes a long way. Take out the trash. Offer to clean the glass of the front door. Ask if they want a coffee while you’re on your way in. Do they need cookies to set out for the customers? How about a can of air freshener for the bathroom? Vacuum the rugs at the end of the day so they don’t have to. Ask them how their day is going and if there’s anything you can do to help make it better. Showing the owner that you care about them as well as their business goes a long way! Another tip I have is to give everyone a chance to warm up to you. Some co-ops have a high rate of turnover and owners are used to seeing people come and go. It takes a little bit of time to get to know everyone and for them to get to know you. Give people time, including the owner. Take a tip from Anne of Green Gables. ““Kindred spirits are not so scarce as I used to think. It’s splendid to find out there are so many of them in the world.” I’m sure you’ll find kindred spirits in your co-op! 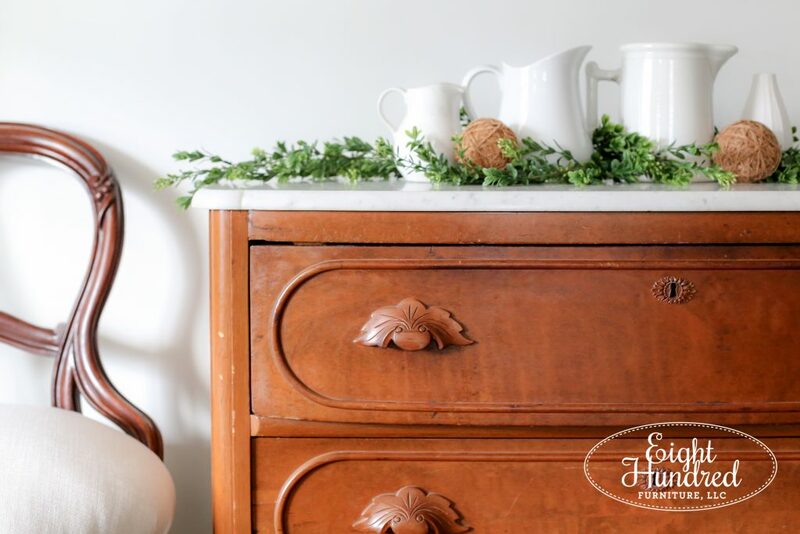 I hope that you have found these tips to be helpful in your journey towards either find a co-op, boosting your sales in your current one, or understanding more about the antique co-op world. 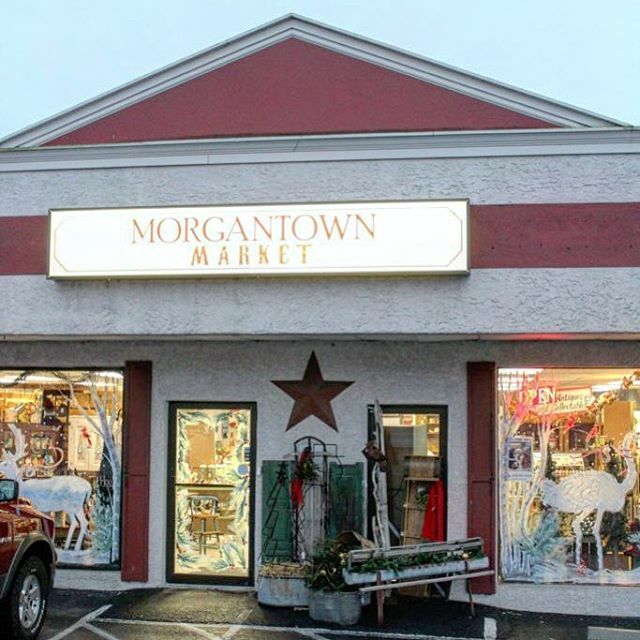 I’m crazy about Morgantown Market, which is the co-op where I sell my pieces. Stacey and I have a fabulous working relationship and she has done so much for me since I first joined the family almost two years ago. As I’ve talked with other people and heard their experiences, it’s become clear to me that Morgantown Market is special and it is not the norm. I’ve found a true gem to be a part of and I’m truly so blessed to have found a home there. 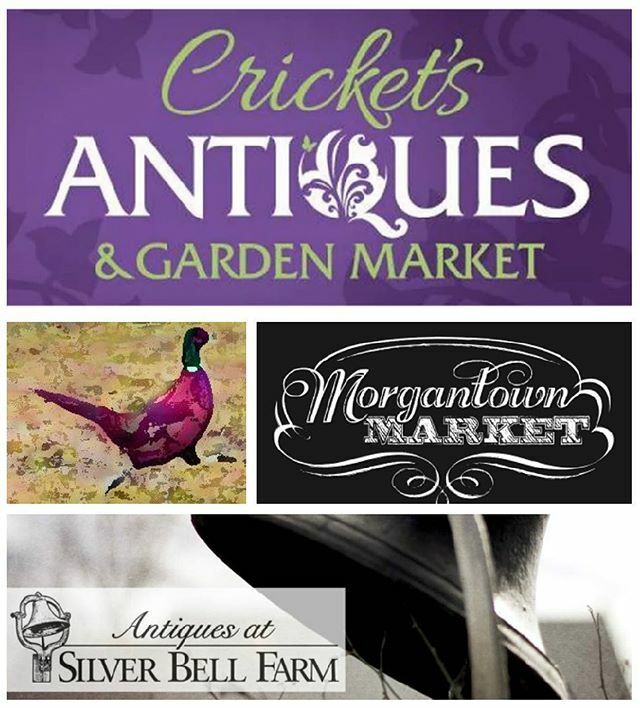 I hope you find your “Morgantown Market” too!